Supercenter Store Welcomes Raw Milk with Huge Fanfare! - Hartke Is Online! Supercenter Store Welcomes Raw Milk with Huge Fanfare! Ksenija Sarazin of Ljubljana and her sister, Ines, enjoying milk at the new LeClerc Mlekomat. 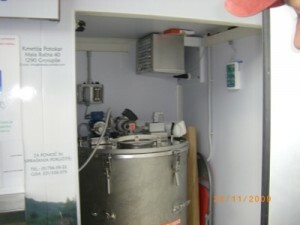 Mlekomat opens at Slovenian “Target”, Raw Milk Machines Pop Up Everywhere in Neighboring Italy! Can you imagine driving up to your favorite Target store, parking the car, shopping, and on the way out of the store, stopping at a milk-o-matic for a quick quart of your favorite raw milk in a glass or plastic bottle? The success of the Mlekomats in Slovenia thus far have paved the way for just that. Slovenian consumers can quickly and easily scoop up a quart on their way home, something totally unheard of in the U.S., where the sale of raw milk can be a crime in some states. 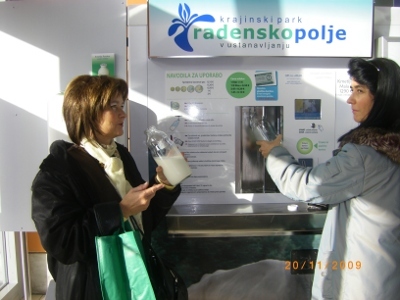 Customers are enjoying more and more raw milk as Mlekomats are spreading further and further throughout Slovenia. Just recently a mlekomat opened at the busy hipermarket E. Leclerc, a French chain store, which is located in a large shopping mall in Rudnik, a suburb of Ljubljana, the capital city. Leclerc has the selection of a Walmart, but more upscale- rather like a Target with groceries- thus the name “hipermarket.” The opening of the Mlekomat was a special event, with live entertainment by a childrens’ buttonbox orchestra, and coverage by the radio station, Zeleni val-Green wave. Many customers shopping at the mall tried the milk machine. See the coverage in the Kmetija Potokar farm’s Facebook photo album. The Mlekomat is located directly outside the main entrance to the store. 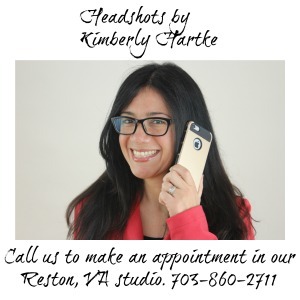 At this location customers have easy accessibility and unlimited free parking. The farms which own and operate the machines in Slovenia, Kmetija Mis and Kmetija Potokar, are placing more and more machines in areas where customers live and have easy access. Soon we anticipate drive-up mlekomats from these enterprising raw milk producers! We hope it is only a matter of time before the machines gain acceptance in the USA, and Canada. Wouldn’t it be wonderful if North America’s Target stores saw raw milk availability as a means of serving their customers? Meanwhile, in neighboring Italy, located just west of Slovenia, mlekomats are everywhere. Italians have gone for raw milk in a big way Over 1300 mlekomat units are now in operation, in these locations. In Slovenia, even though raw milk in not available in conventional supermarkets, pasteurized, non-homogenized milk and raw cottage cheese is available in most grocery stores. Homogenized milk has been widely discussed in the Slovenian media so that most people are aware of its artery-damaging effects. Back in the USA, however, the story is exactly the opposite. Processed milk is revered and no media coverage has explained exactly what goes on inside the human body as a result of dairy industry processing. However, according to Ron Schmid, NP, in his book Traditional Foods Are Your Best Medicine, some U.S. medical professionals are researching homogenized milk and its effects on health. Kurt Oster, MD, chief of cardiology at Park City Hospital in Bridgeport, Connecticut, and Dr. Kurt Esselbacher, of the Harvard medical school believe that homogenized milk is a major cause of cardiovascular disease in the US. These medical experts have found that people living in countries where there is little homogenized milk used in the diet have heart disease rates less than half that of the US. Sour milk must be made from raw milk because raw milk contains the right mixture of lactic acid bacteria. Spoiled pasteurized milk, left too long in the fridge, is different from traditional sour milk. Pasteurizing upsets the bacterial balance, killing the beneficial organisms but not all pathogenic ones. If the milk is left in the fridge too long these bad bacteria will overgrow and the pasteurized milk will spoil. Sour milk is a result of lactic acid fermentation, like yogurt, and is a healthy alternative to conventional products which add corn starch, high fructose corn syrup, artificial colors and flavorings. This recipe for Sour Milk comes from the Mis Family Farm in Slovenia. Sylvia P. Onusic holds a BS in foods and nutrition, and a PhD in Health Education and Wellness, and has completed studies to qualify for RD (Registered Dietitian). She was a home economics teacher for many years. Her concentration is in holistic nutrition with a focus on the evolution of food and the human body in relation to food allergies and disease. Sylvia is the mother of two teenage sons, one on whom has celiac disease. She has several food allergies as well. This is so awesome…now if only the U.S. would catch on. Speaking of Raw Milk…must run…time for more Kefir making!!! .-= Pamela @ Seeds of Nutrition´s last blog ..Cheese Making: Raw Milk & Mozzarella! =-. I don’t think having raw milk at our local Target is a good idea. Someone would definitely sue because they thought they got sick from raw milk – raw milk would become a target for those sue happy people. Then the government and big ag would make sure that raw milk be completely outlawed – even the cow shares. I love that we get raw milk and if we weren’t able to get raw then we’d just wouldn’t drink milk. I DO believe that raw milk be legal in all of America in the form of cow shares. Know your farmer and get your milk directly from a the farm. You make me want to move to Slovenia. What a wonderfully informative article on raw milk distribution in Slovenia. I cannot wait for these raw milk machines in the U.S.A.
.-= Eryn´s last blog ..Dec 4, Best Colon Cleanse Experience With Dr Natura Colonix, Colon Cleanse Review =-. These are great articles on raw milk. I was so excited reading about Italy, Slovenia, Kmetija Mis and Kmetija Potokar. Too bad the USA is still in denial about how healthy raw milk is for us. I was going to say we are dinasaurs when it comes to the healthy benefits of organic raw milk, but then again we only have to go back before 1940’s when there was the good ol’ stuff of life. Thanks Eryn for your kind comments. I am in the process of organizing a “Slow Food Slovenia” for next summer which would include visits to Alpine farms, the flower and herb markets, milk o matics sites, farmers markets, bee farms, salt pans, prosciutto artisans, cheese makers, wine makers and much more, I will keep you all posted on Kims Blog. Yes! Finally someone writes about [target stores].